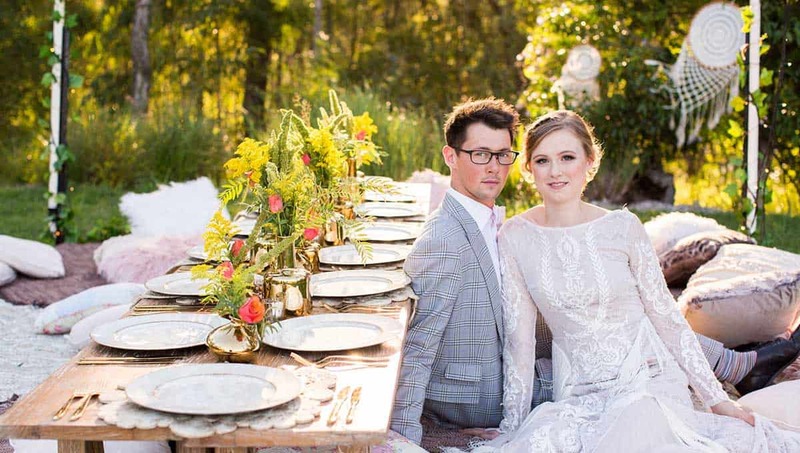 This couple’s love story began years ago with a chance encounter at work. 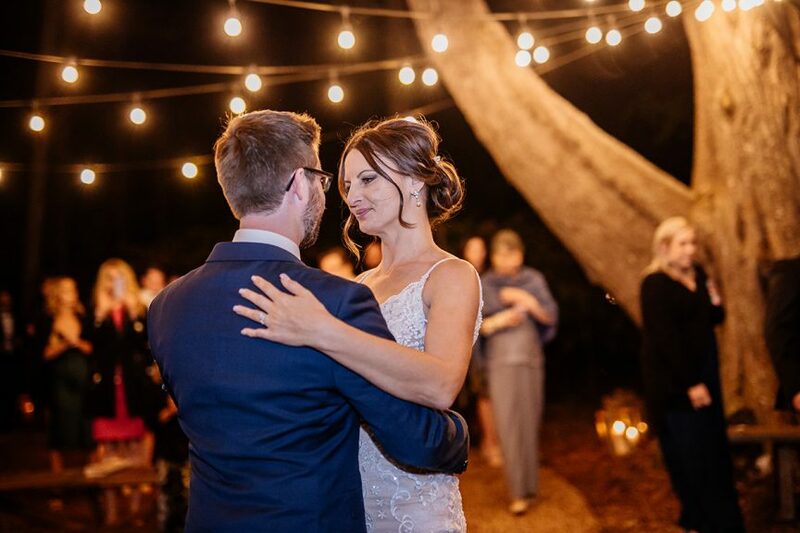 When Jason joined the team at Kristine’s office, the two noticed a connection and soon became friends. 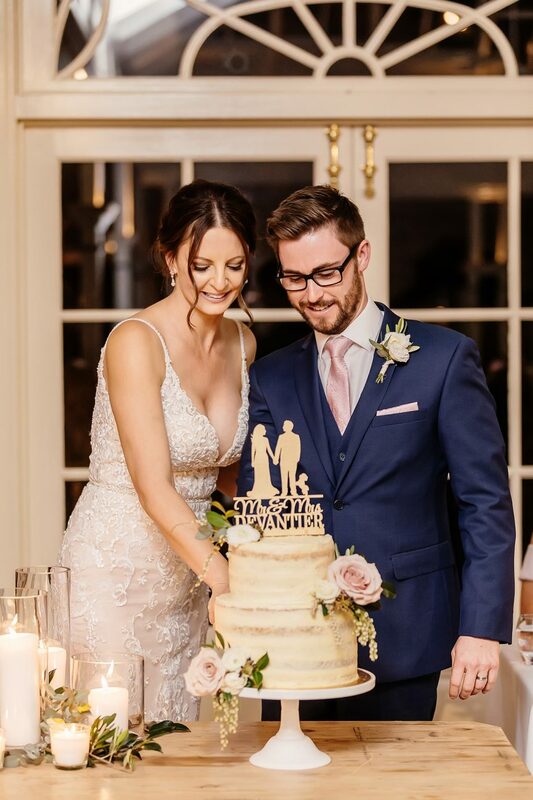 As you might have guessed, though, that didn’t last long. 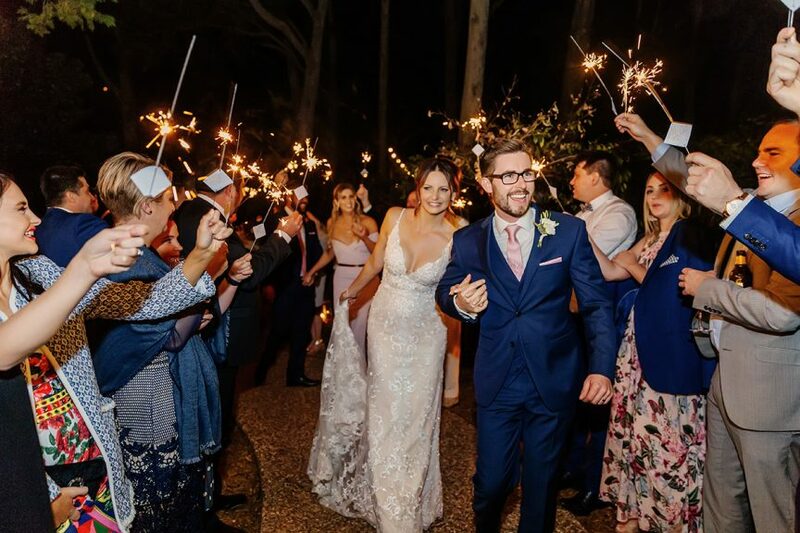 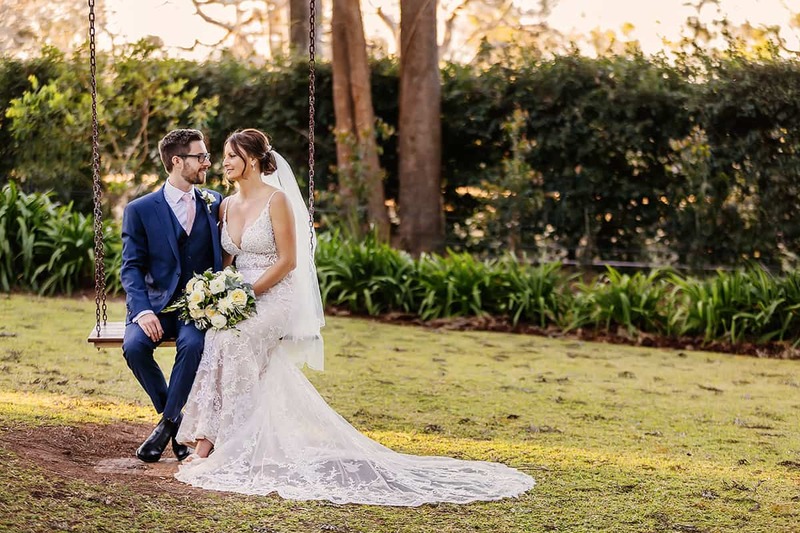 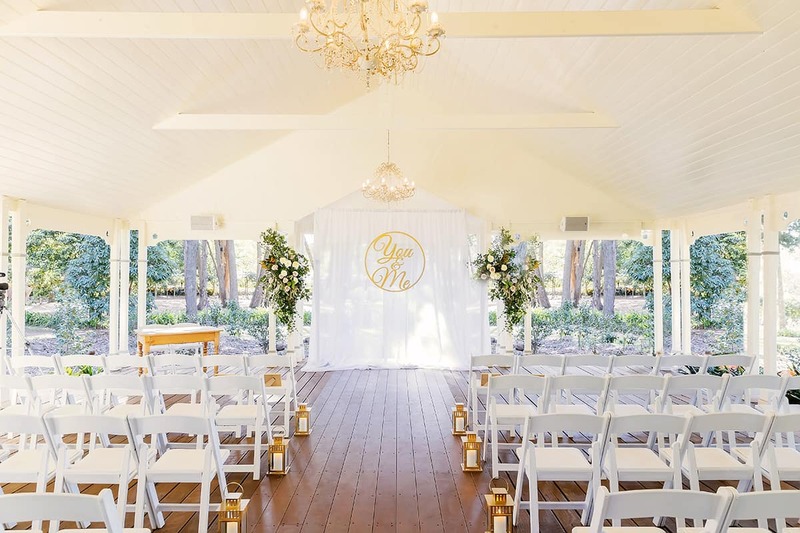 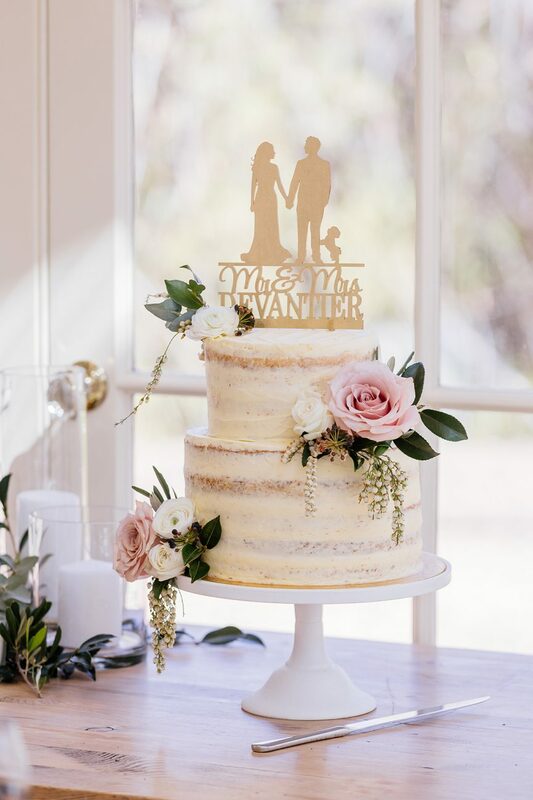 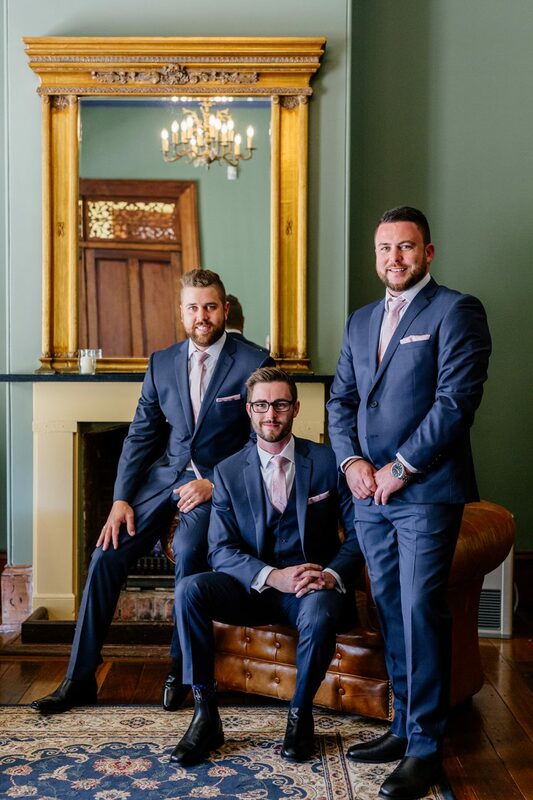 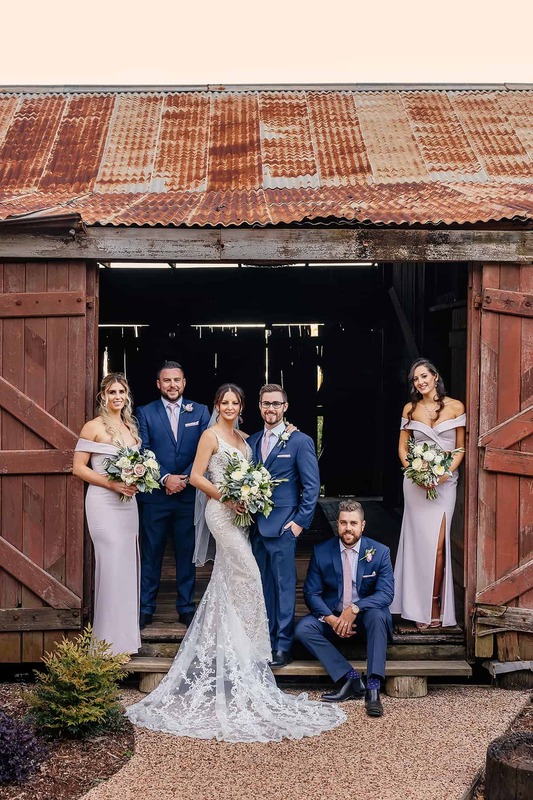 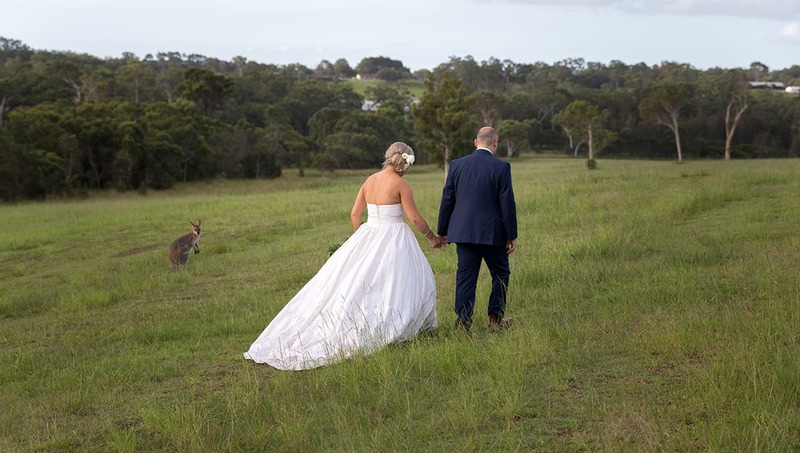 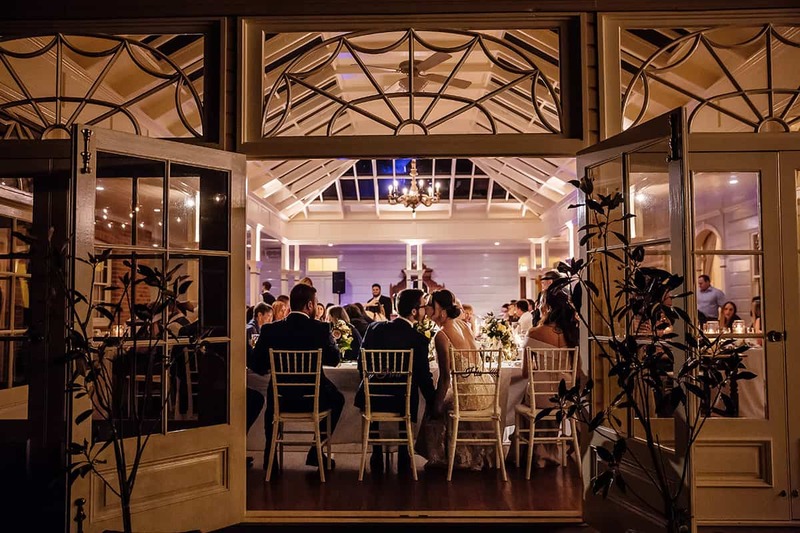 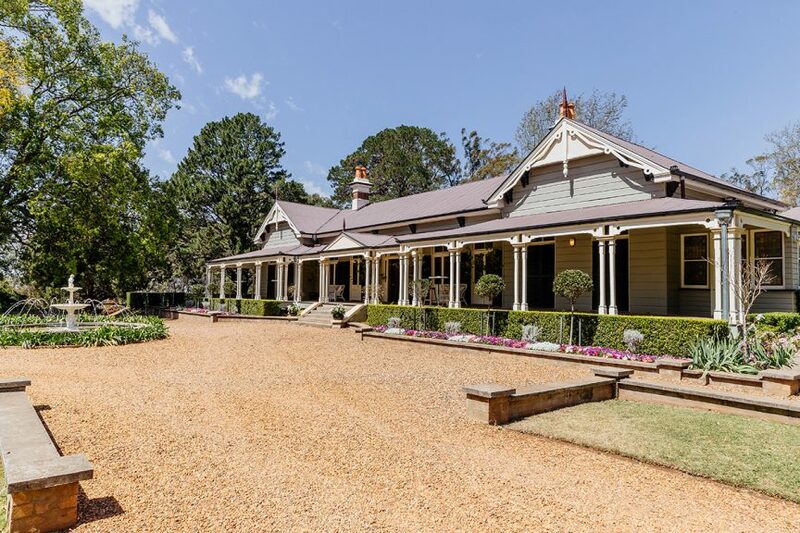 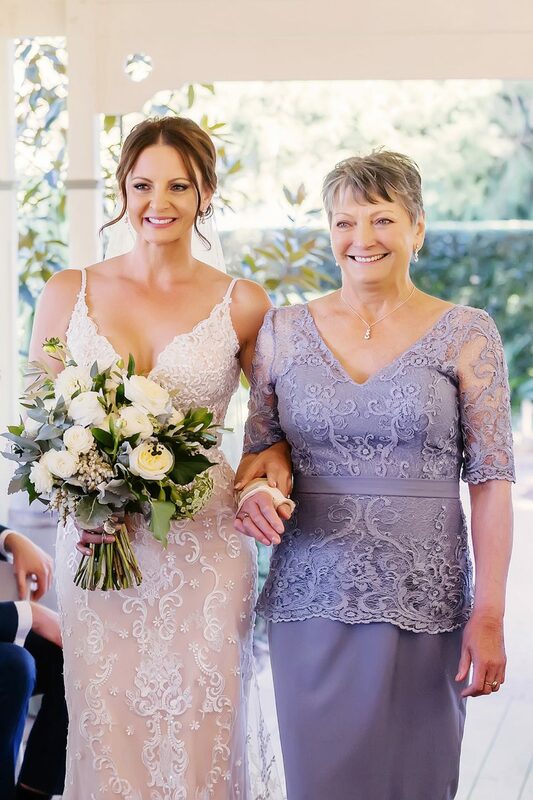 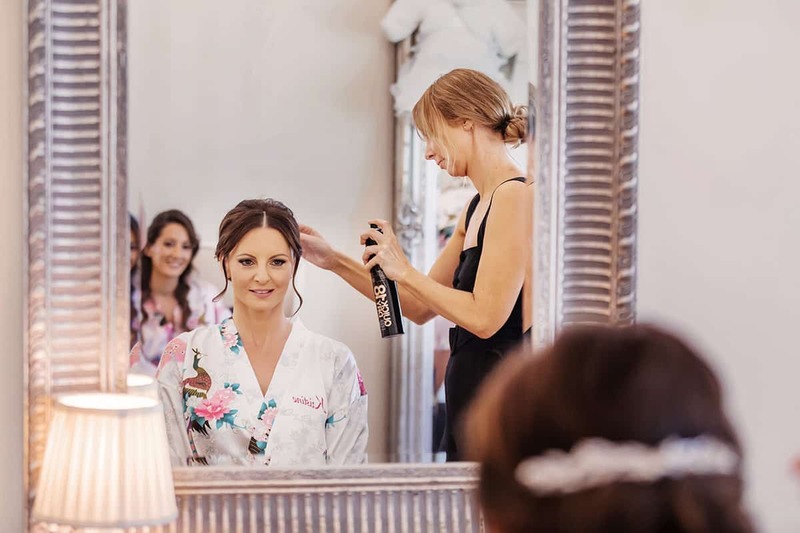 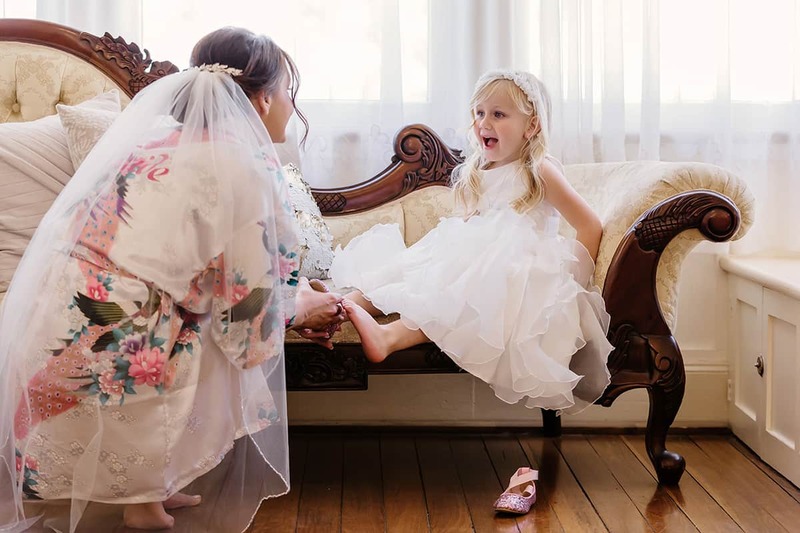 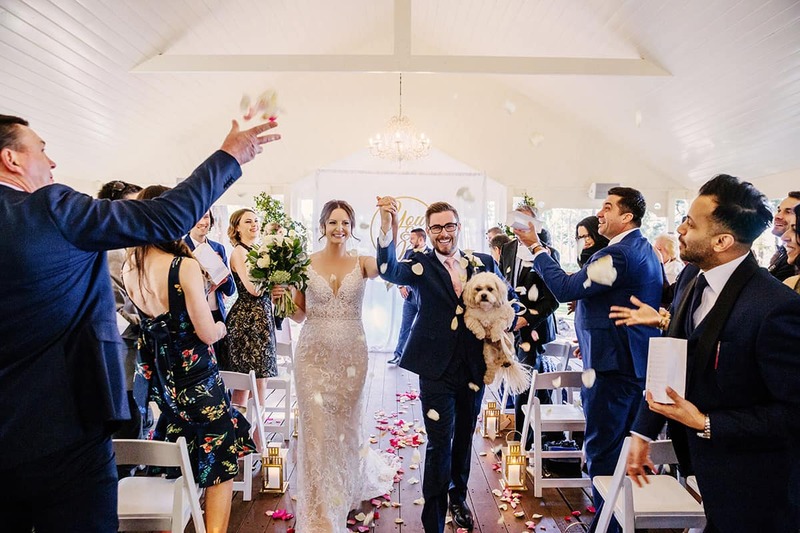 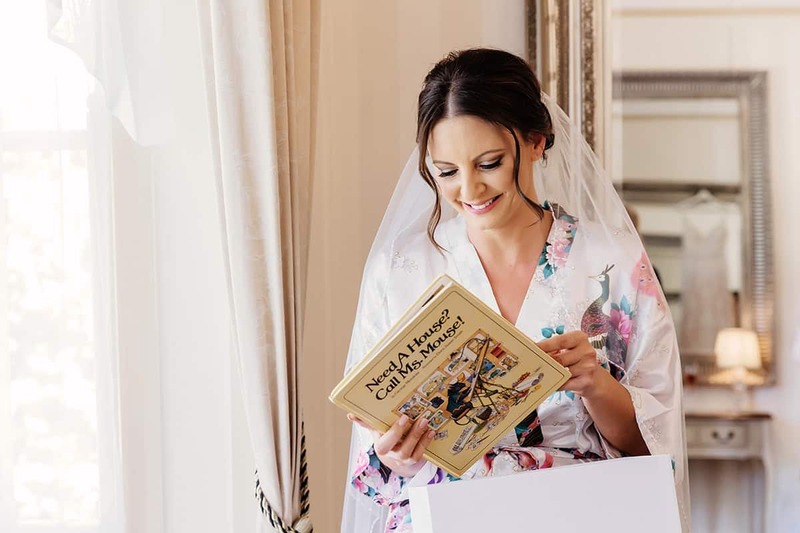 Going on to date, travel the world and renovate an old caravan together (that’s certainly one way to work out whether your partner’s a keeper), the two made things official with one seriously beautiful wedding at Toowoomba’s Gabbinbar Homestead. 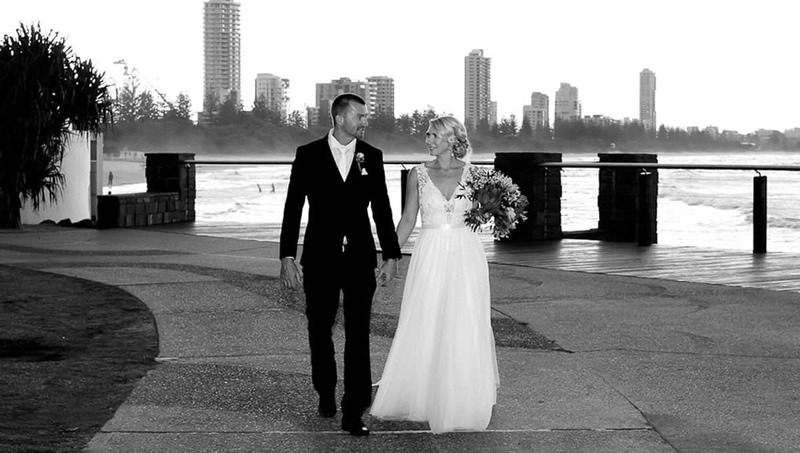 “We wanted a destination wedding but without the expense of air travel for our guests,” says Kristine. 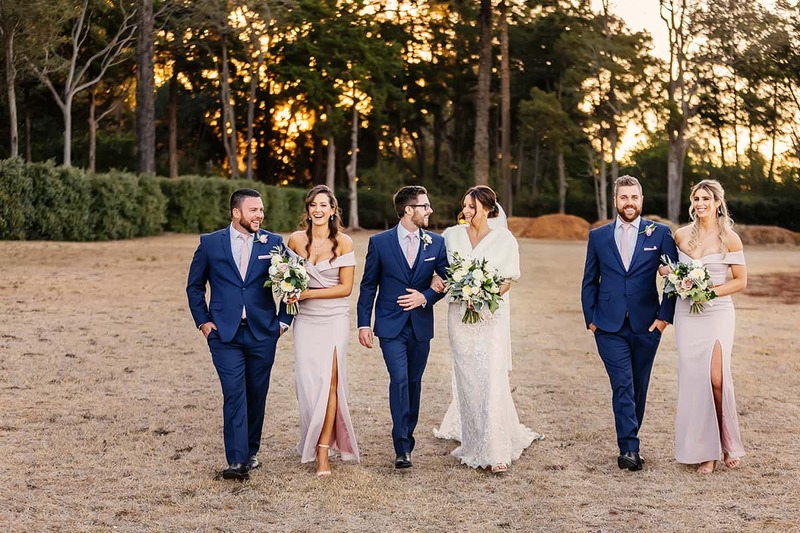 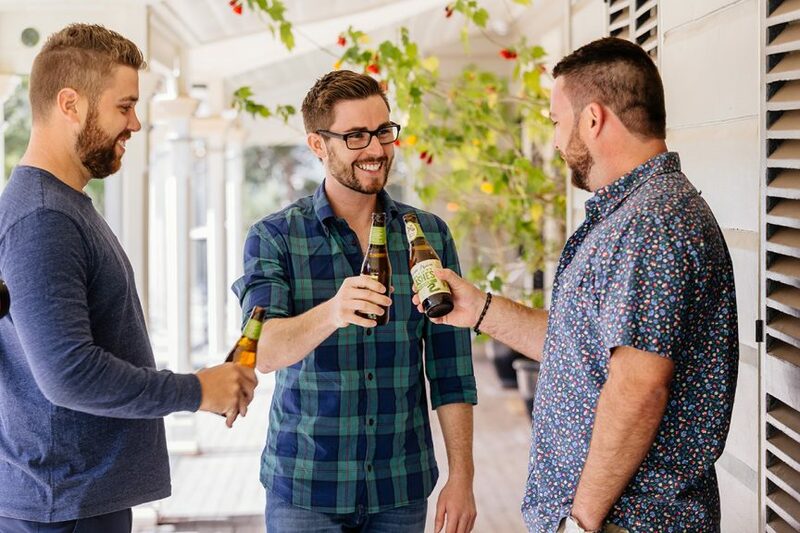 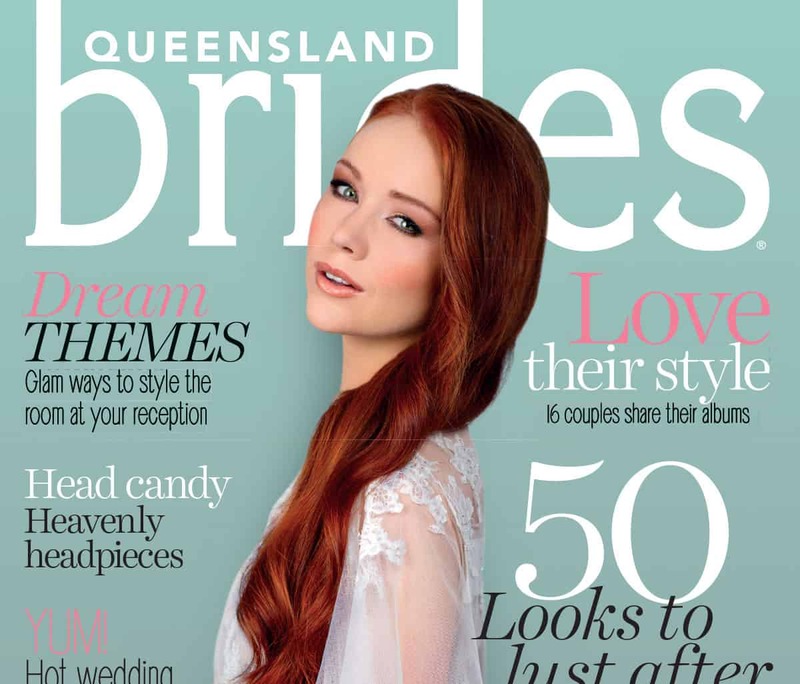 “Toowoomba, being only two hours from Brisbane, was perfect!” Good thinking, guys! 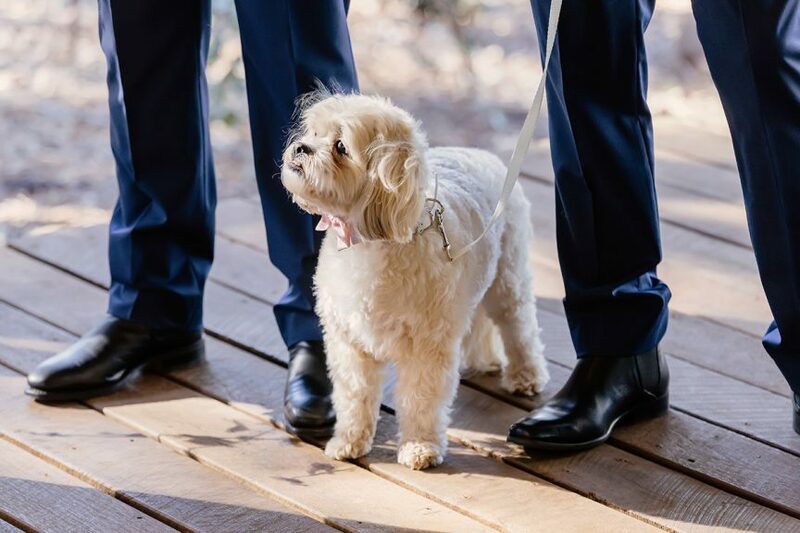 Surrounded by loved ones and a very special four-legged guest, Kristine and Jason said “I do” in the venue’s elegant pavilion. 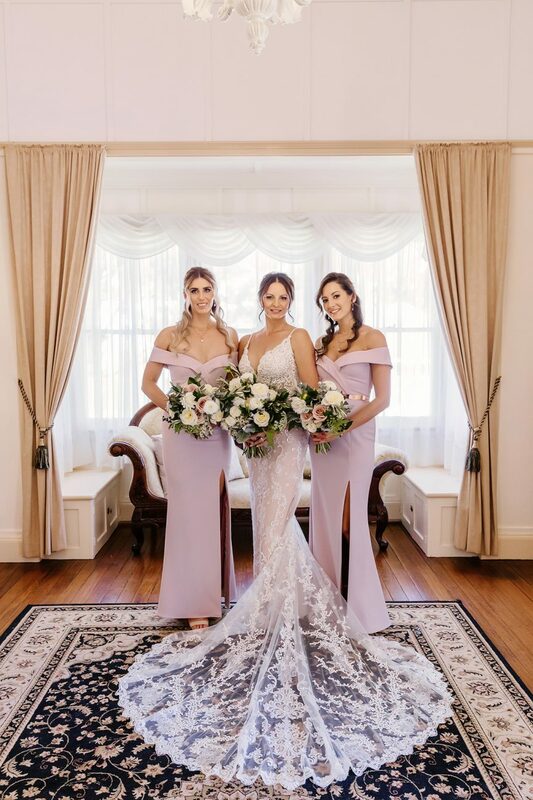 Exploring the stately grounds with their bridal party for photos, the newlyweds later moved the festivities to Gabbinbar’s enchanting Conservatory. 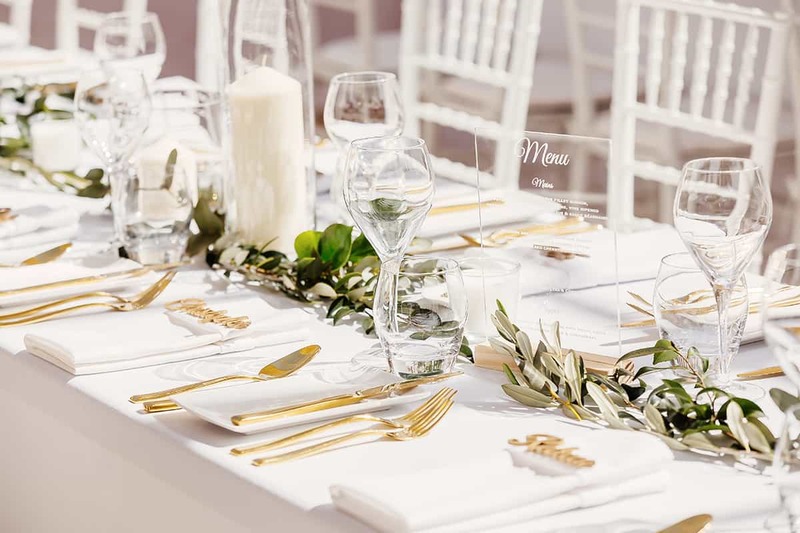 Decked out to the max with luxe linens and flickering candles, the space was an ideal setting for a dinner party-style celebration. 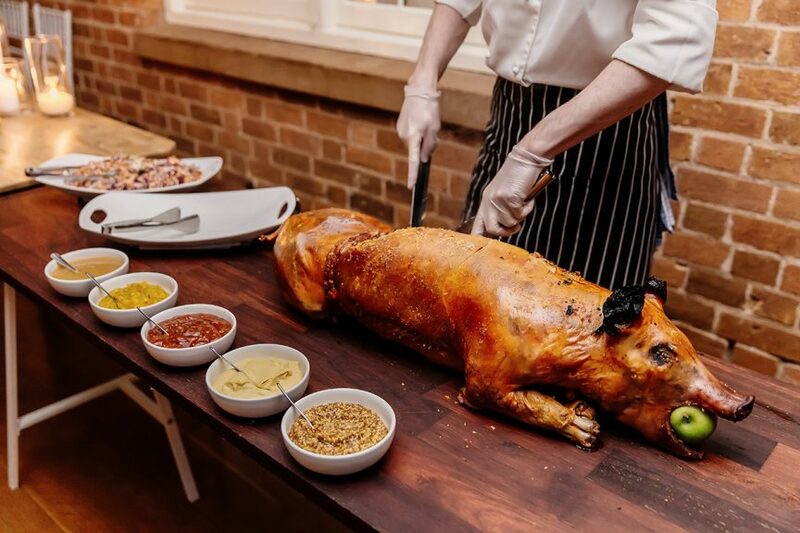 “We added a touch of my heritage by serving a suckling pig,” says Kristine. 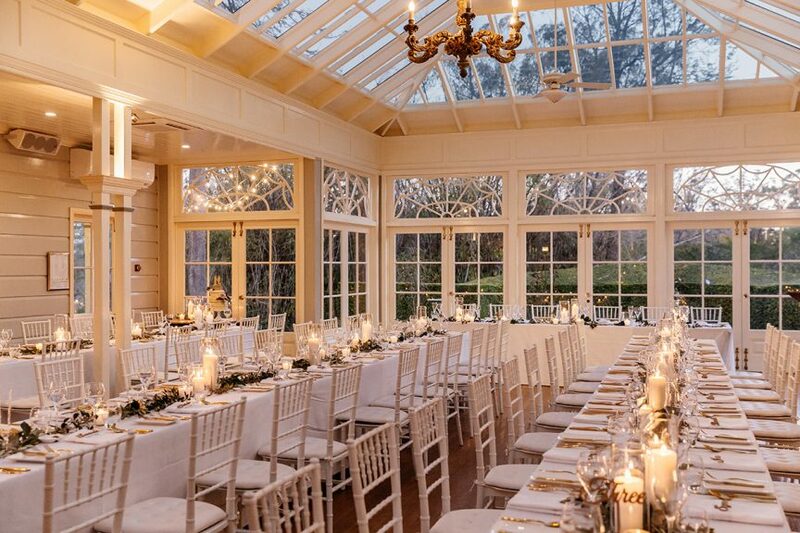 “Some of our guests said it was the highlight of the day!” We’ll take a plate or two, thanks. 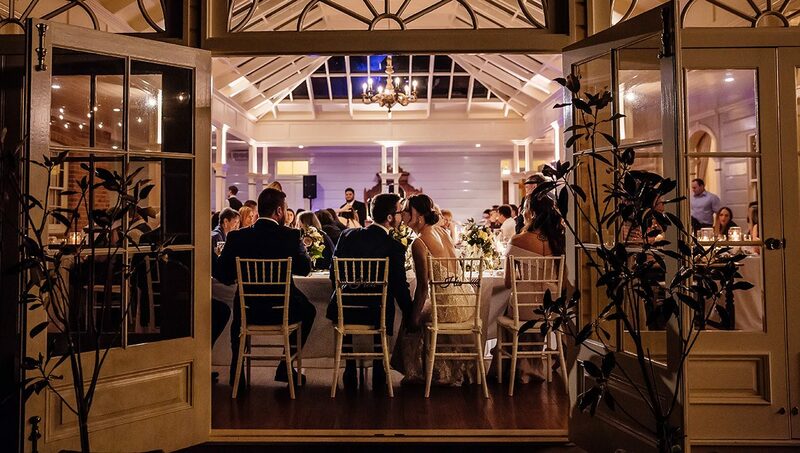 Bellies full, the couple then topped the night off with a romantic ‘first dance’ and a fantastic cocktail party. 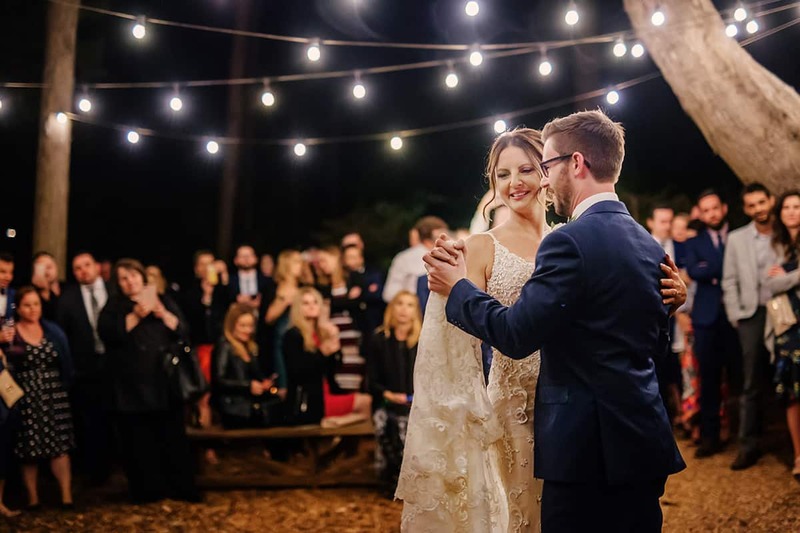 “Our guests formed a sparkler tunnel into the woods where a singer performed our ‘first dance’ song,” remembers Kristine. 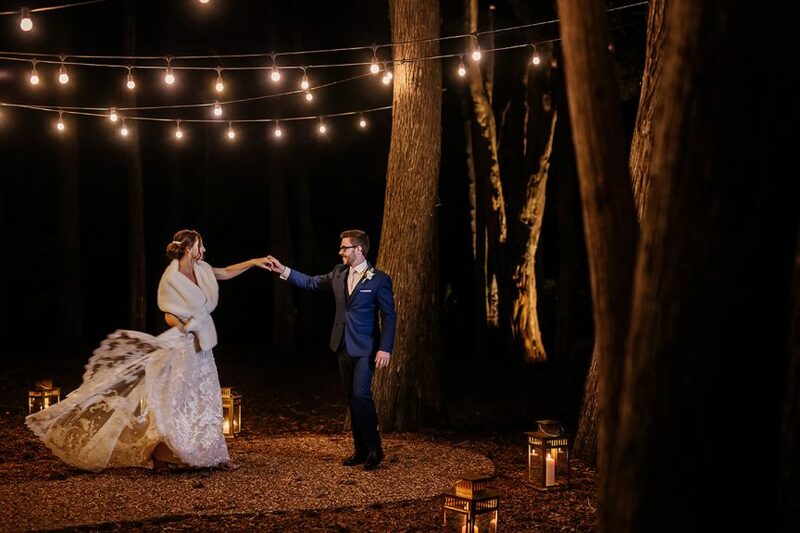 “We all gathered amongst the trees, with lanterns and festoon lighting above. 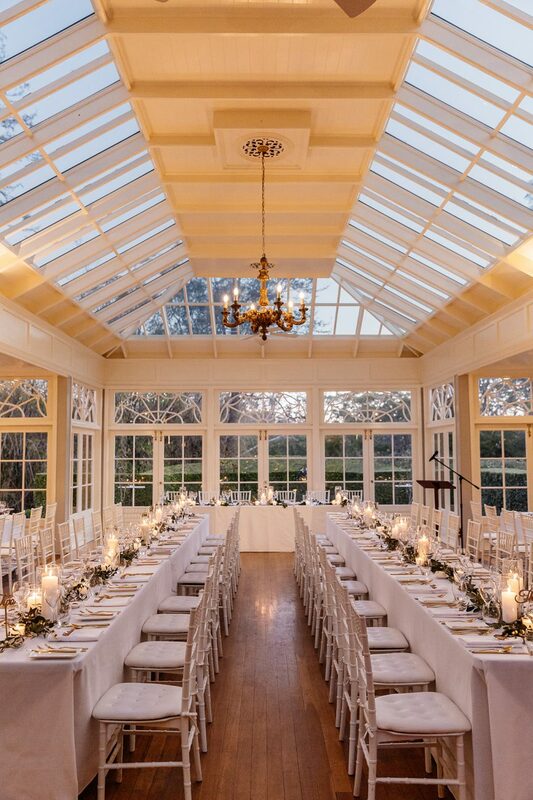 After a few more dances we all made our way back to the Conservatory, which had been transformed into a cocktail party setting for the rest of the evening’s dancing!” Sounds like the perfect day to us.